Want another Christmas gift to put under the tree for a 7- to 10-year-old without having to buy it? 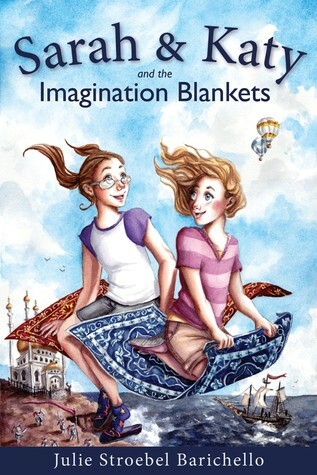 Then enter for a chance to win 1 of 10 free copies of SARAH & KATY AND THE IMAGINATION BLANKETS on Goodreads! The giveaway runs through Friday, Dec. 12, and is open to residents of the United States and Canada. This entry was posted in Writing and tagged books, children's books, Goodreads, Sarah & Katy and the Imagination Blankets. Bookmark the permalink. 2 Responses to Goodreads Giveaway! November 26, 2014 at 9:57 p.11. Sweet! Unfortunately I won’t be able to enter ( the website is blocked for me). I wish you luck that many people enter and are exposed to your book! November 28, 2014 at 9:57 p.11. Hello, I am not sure if you will read this but my two best friends are twins and their names are Sarah and Katie. Although we are in our 20’s I want to get the book for them for Christmas because I think it is very cute. I would like to get the book signed but I will not be in the ottawa area on dec6th. Please let me know if there is any way I could still get a copy and get it signed.